We have been teaching Mixed Martial Arts and Brazilian Jiu Jitsu in Bradford for 14 years, from beginners to international professional fighter we have skills to help you achieve your goals. 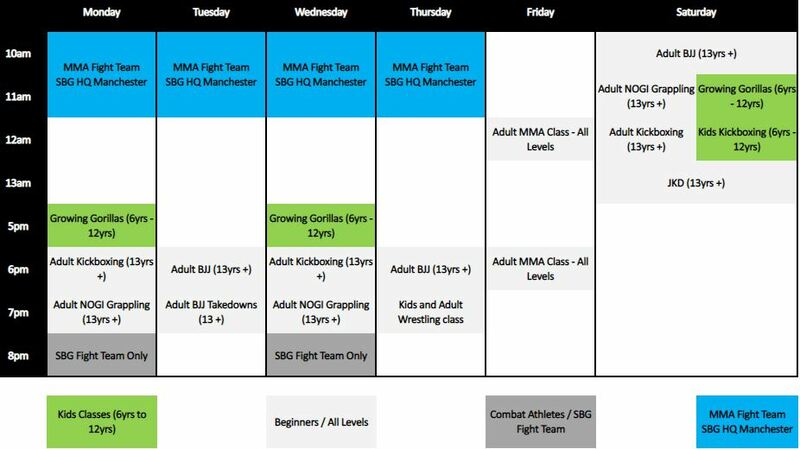 We have over 14+ classes a week covering Mixed Martial Arts, Brazilian Jiu Jitsu, Kick Boxing, Jeet Kune Do, Combat Submission Wrestling and Olympic Wrestling. Nearly all of our classes are BEGINNER FRIENDLY, you will learn in a fun and friendly environment the most effective martial arts in the world. You don’t have to compete, we support our students goals, get fit, learn martial arts or work towards their BLACK BELT.